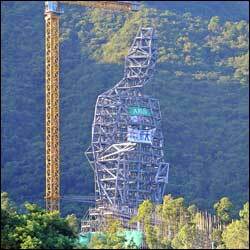 A Buddhist group overseeing the construction of the world’s tallest bronze statue of the goddess Guanyin on the outskirts of Hong Kong is denying it will also serve as the final resting place for billionaire Li Ka-shing. 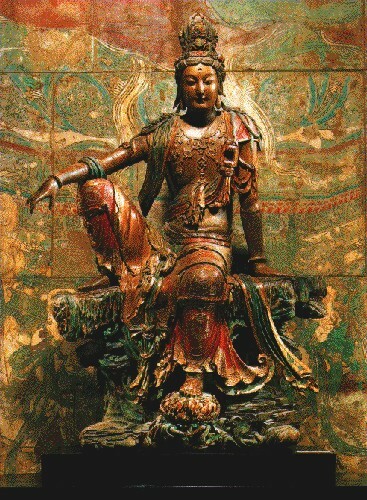 East Asian Buddhists venerate Guanyin as a “bodhisattva” or “wisdom being” of compassion. Li, considered to be the richest man in Hong Kong, sits on the board of Tsz Shan Monastery, where the statue is being constructed with a $128 million donation from Li. The bronze statue — the tallest of its kind — will be part of the 50,000-square-foot monastery expected to become a tourist destination when it is finished in 2013. “It was alleged that the monastery would later serve as a final resting place for Li,” reported the Standard. Sik, who is also chairman of the Hong Kong Buddhist Association, said ulterior motives are behind the reports. 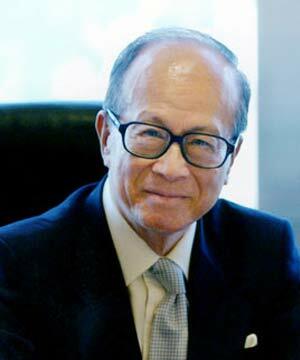 Such talk, he told the Standard, “has seriously damaged the reputation of Tsz Shan Monastery and Li Ka-shing.” He said the monastery is considering suing Apple Daily for reporting that Li, who is chairman of Cheung Kong Holdings, and his eldest son, Victor Li Tzar-kuoi, had “launched a company and secretly ordered the construction of a private monastery for the 82-year-old tycoon,” according to the Standard.